Spring. It’s finally spring you guys. Awhile back I wrote out my favorite parts of Spring and why it’s my favorite. 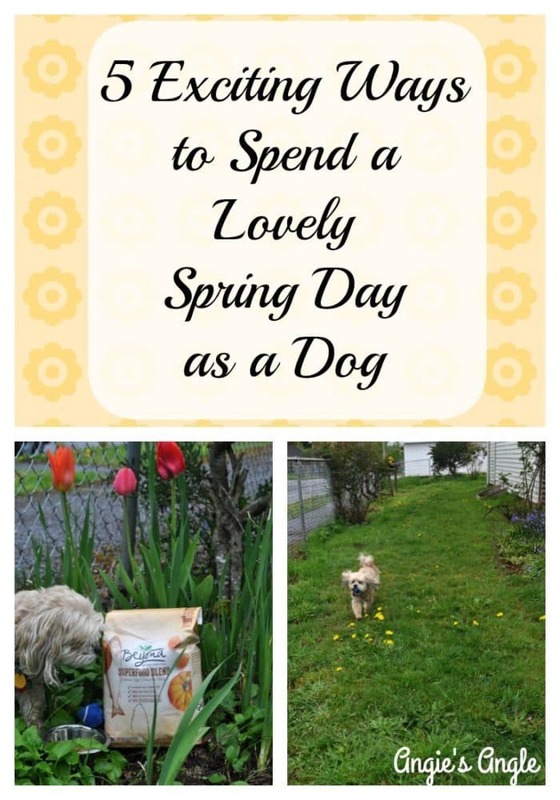 Now, Roxy is going to be stepping in to share her favorite ways to spend a spring day. She too loves spring. After a rather cold and surprisingly snowy winter season, spring couldn’t be more welcome for all us. 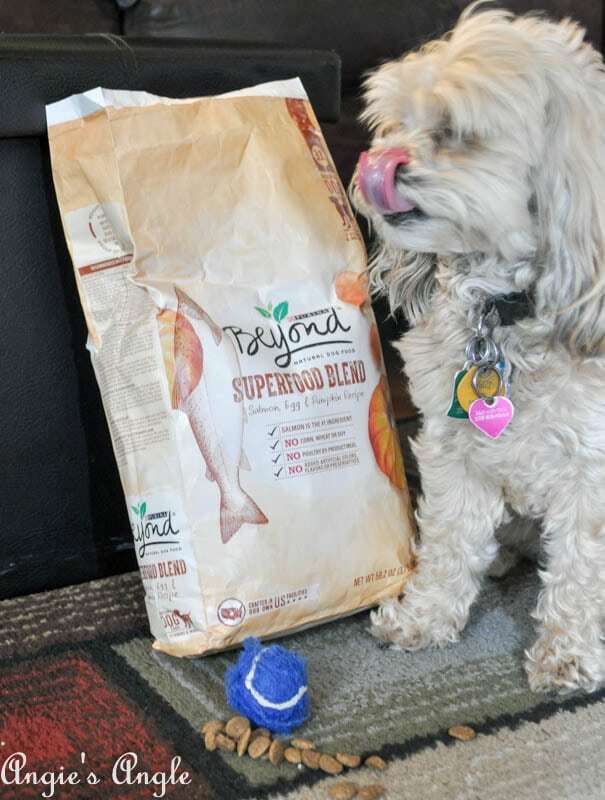 Roxy is hoping that your dogs will try one or two of her ways and see if it becomes one of their favorites too. Heck, maybe you are near enough to her to do them together. She’d love to meet up with more local dogs and make some new friends. Without further ado, a spring day as a dog awaits. 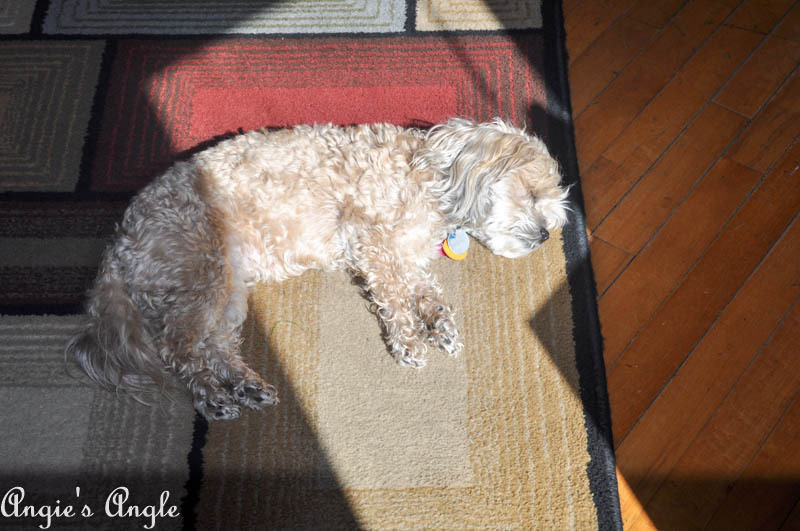 After I have gone out and done my morning business, I come in and find that wonderful sun spot in our living room. During the spring luckily it’s right in the middle of the living room rug. It makes for a very relaxing way to have that morning rest. After my owner reads the paper and does her morning routine, it’s time for me to fill my tummy. To properly fuel my way to the perfect lovely spring day, I get fed some yummy food. 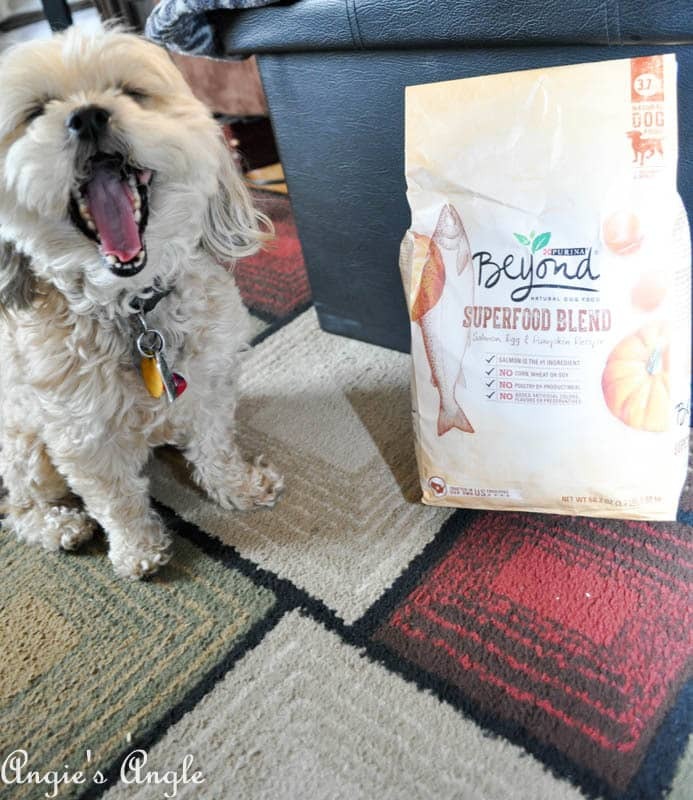 Purina Beyond is one of the best ways to start my day. The reason being that meat is its number one ingredient. 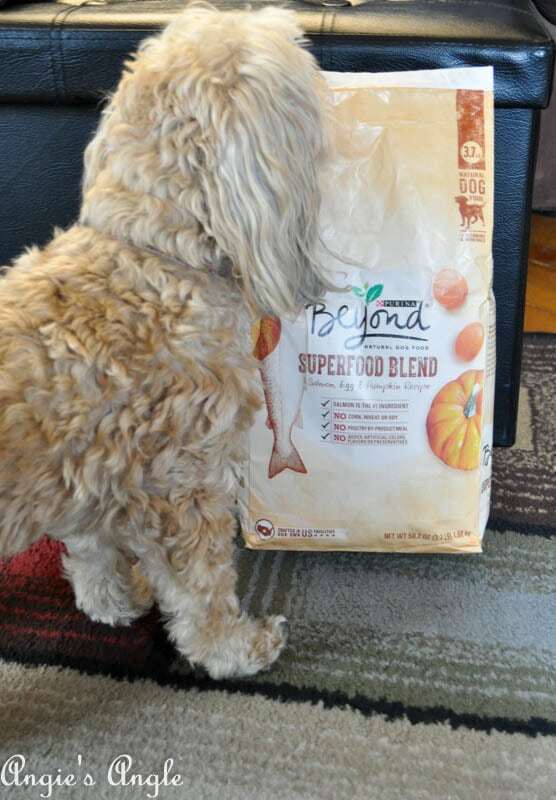 We also think I may be slightly allergic to grains, so we try to avoid those and this Purina Beyond does the trick. Having no corn, wheat, or soy, it’s the perfect option for little ole’ me. 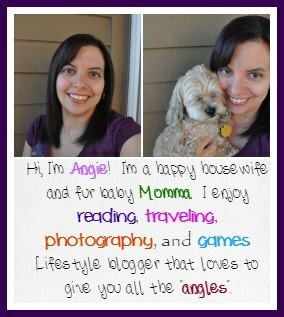 Maybe it will be for you too! I am talking to you other fur balls out there. 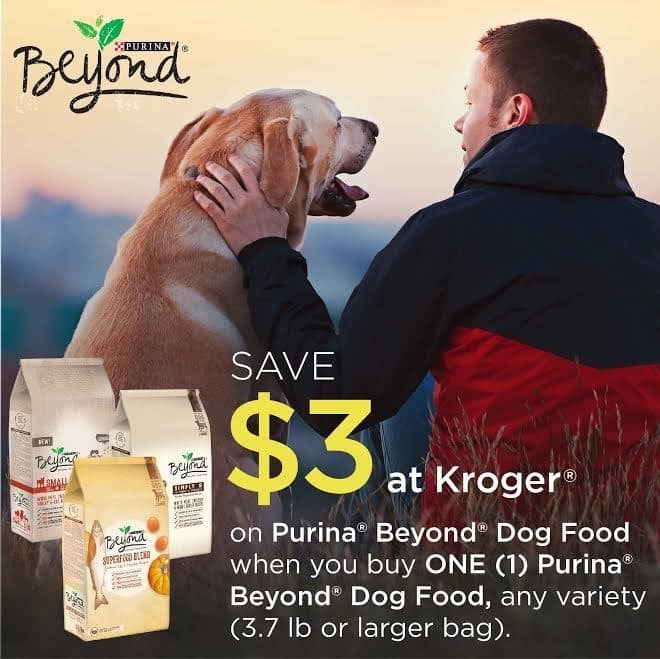 Get your owners to go out and buy you some Purina Beyond with this $3 digital coupon below. The coupon, included in the image below, is good until June 29th, 2017 at your local Kroger store. 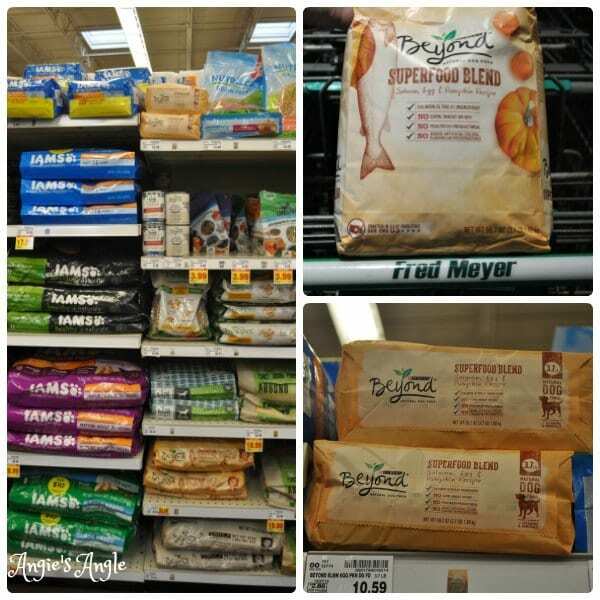 While grocery shopping it’s simple to grab my Purina Beyond right in the Fred Meyer aisle, so it was one-stop shopping for all of our household needs. It couldn’t be easier. Get that spring day off to a good start like me. Trust me; it’s as exciting as I promised too. Outside we go! My owner likes to sit outside on the porch during this wonderful time of the year and since it’s finally spring, I can also bring out some of my toys. My favorite toy to bring out is my little balls. 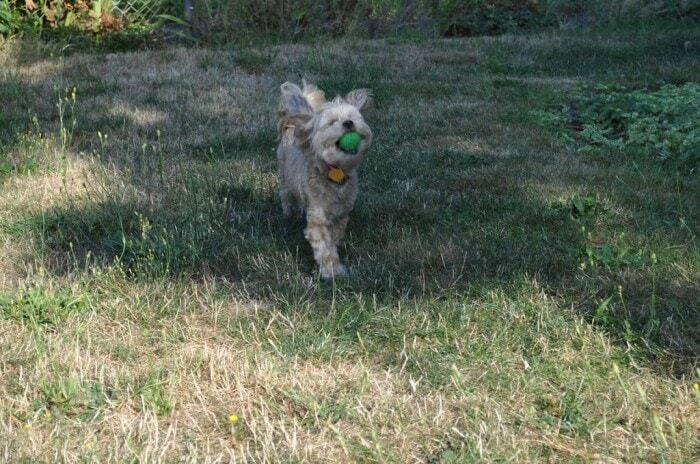 There is nothing better than some play time in the yard running after the ball. Countless hours of that ball being thrown, up over my head and down the side of the yard brings me much happiness. Doesn’t it for everyone? In other special occasions, there are a couple more things that happen more in the spring that I just have to share with you all. Me being a bit of a bossy pants, as I am told, it wasn’t sure how I’d be at a dog park. After all, things gotta go my way or hit the highway! When others don’t listen to my wise wisdom, I gotta get in their face and say hey there mister this is how it is going to go! But oh glorious heavens, I went a few weeks back as a special playdate and so much fun was had. There were other dogs and miles to run. And best of all? 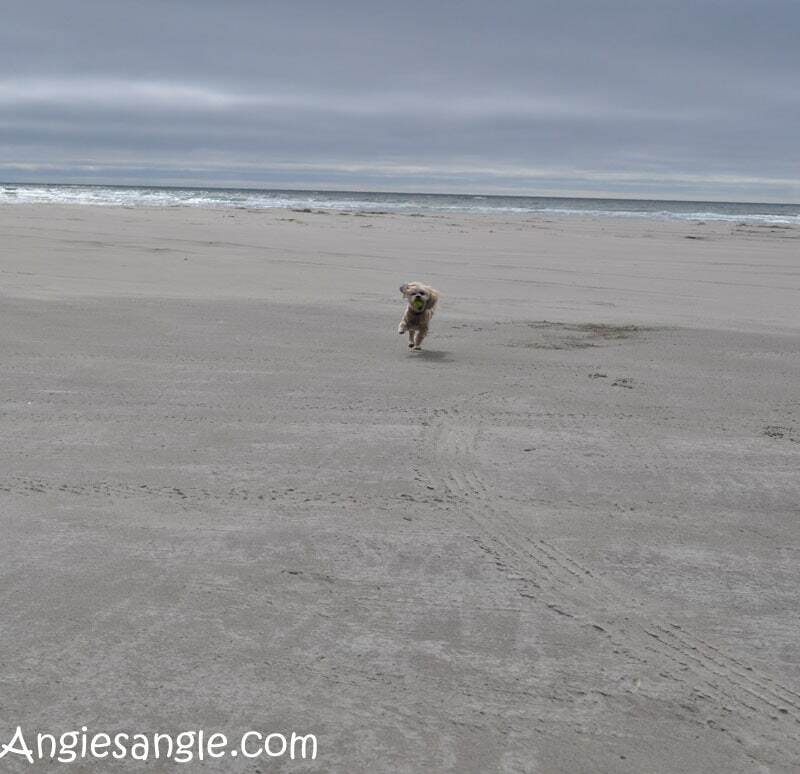 Dogs get this – there wasn’t a single leash to be had. I know, all you guys are saying say what? No leashes, heavens that can’t be true, can it? Yes! These dog parks are the best places to sniff and play and meet other fur things like us. You gotta get your people to take you this spring! It’s the best, I am telling you. Smells, oh my lord, the smells! Heaven. Could a spring day be spent in another perfect manner? I think not unless you try the last thing below. This one isn’t a daily occurrence because we have to take a big long car ride for it. But spring is the best time for the beach. Hours have been run on with that sand between my toes. Dogs, if you haven’t gone to this heaven land, you need to get your people to take you. It’s the best thing ever. I don’t know how I’d get by without that special beach time. There are these big birds to chase and big long beach’s to run. You’d never get bored at the beach. Well, there we have it, my 5 Exciting Ways to Spend a Lovely Spring Day as a Dog. What do you other dogs out there enjoy on these lovely Spring Days? We’d love to hear it! 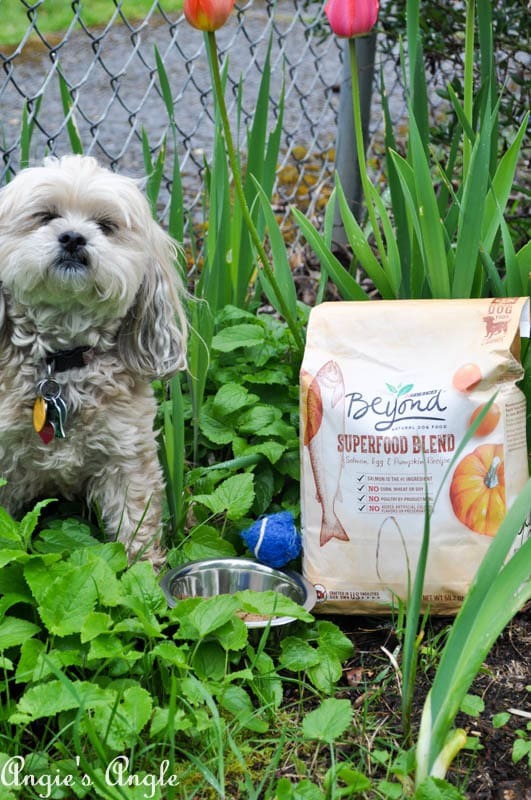 To check out more ways to keep your dog active and happy this spring, check out the Purina Kroger Social Hub, you may need to check back soon!